Krzysztof Piatek, who is on the wanted list of a host of clubs including Chelsea, Liverpool and Tottenham Hotspur, may soon have an asking price in excess of €50m slapped on his head. The Poland international marksman has been tearing defences apart in Serie A for Genoa this season, grabbing an astonishing nine goals in seven top flight games, while he scored four in a Coppa Italia outing. Piatek is a man in demand and Genoa are looking at making a big profit on the €4m paid to sign him, though they are not keen to do business in January. 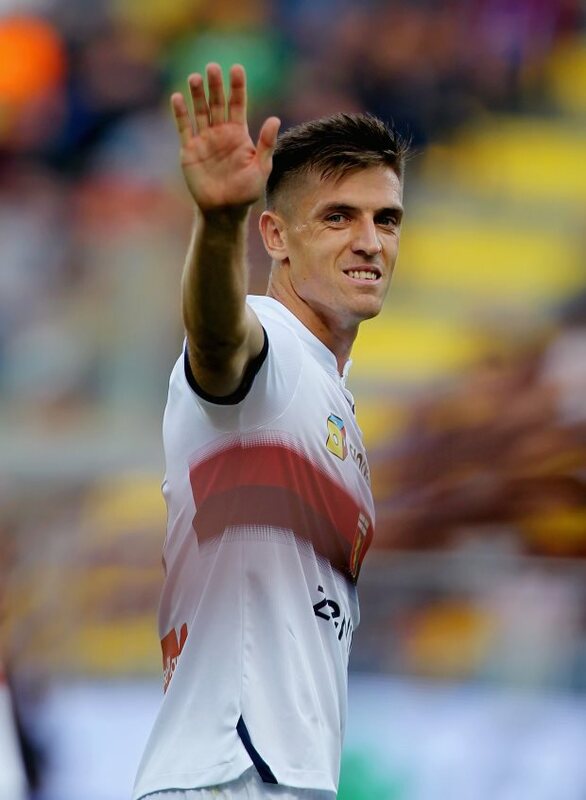 It has been claimed that Genoa value Piatek at between €40m and €50m, but according to Italian broadcaster Sportitalia's Alfredo Pedulla, speaking on Si gonfia la rete, if the Pole keeps his scoring up then his asking price will soar beyond the €50m mark. Premier League trio Chelsea, Liverpool and Tottenham are firm fans of Piatek, while he is also generating interest from Roma, Napoli and Juventus. From La Liga, Piatek has Atletico Madrid and Barcelona on his tail. The Poland international is now being put under the microscope as clubs look at whether to make official bids to try to sign him in the January transfer window. Genoa have insisted that Piatek will not be sold in January and it remains to be seen if a big money offer could change their mind.